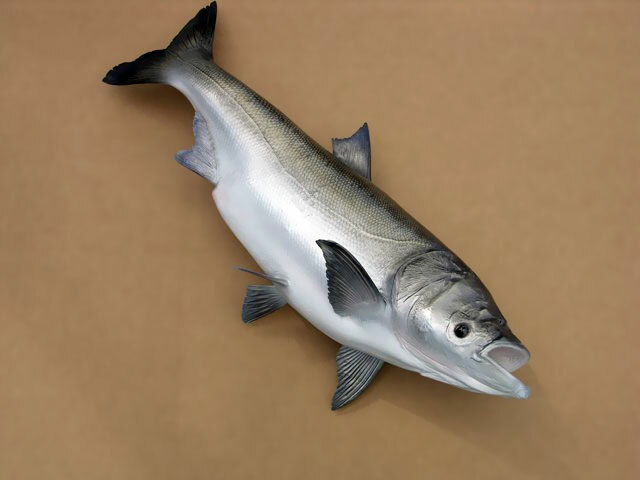 The bighead carp is a freshwater fish, one of several Asian carps. It has a large, scaleless head, a large mouth, and eyes located very low on the head. Adults usually have a mottled silver-gray coloration. Adults can be quite large. Record sizes occasionally approach 143 lb (65 kg) and a total length of 56 in (145 cm); one this size was collected in Furnas Reservoir, Minas Gerais State, Brazil, in 2006, but most places in the Mississippi River basin, a fish over 40 lb (18 kg) and 43 inches (110 cm) is considered very large. The average length is 24-32 inches (60-82 cm). Bighead carp are popular quarry for bowfishers; the bowfishing record, captured in the Mississippi River near Alton, Illinois, in May 2008, is 92.5 lb (42 kg).